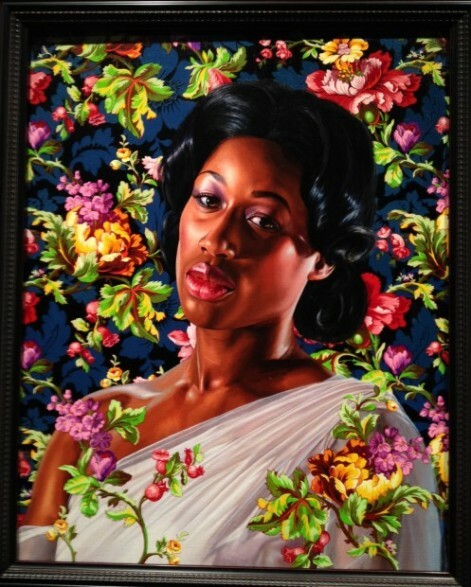 Kehinde Wiley’s “An Economy of Grace is a study of poise, flyness, beauty, class, glamour and Blackness. And today it will all come to a close. 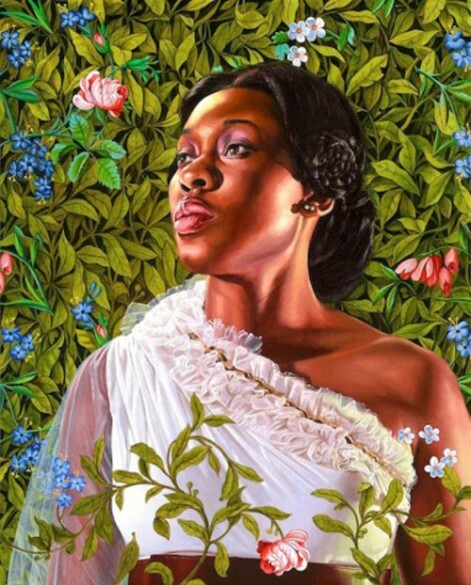 The women– Homegirls. Ena, Treisha, Shanatavia, Dacia. Brooklyn. Fulton Mall-shopping, Beyonce loving, mothers who take pride in a good manicure. Their poses are based on historical portraits of “society women” by Jacques-Louis David, Thomas Gainsborough and John Singer Sargent. Their clothes– long luxurious gowns reminiscent of neo-classical French romanticism. A creative design collaboration with Riccardo Tisci, Creative Director of the famed French couture house Givenchy. 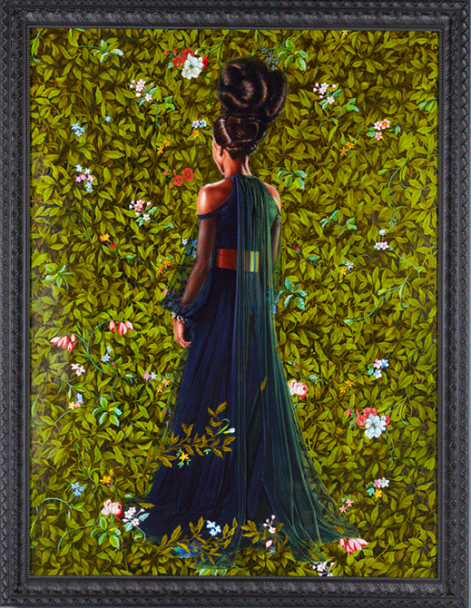 Location– Sean Kelly Gallery: 528 West 29th, St., NYC. I’ll be there today from 4-6pm. 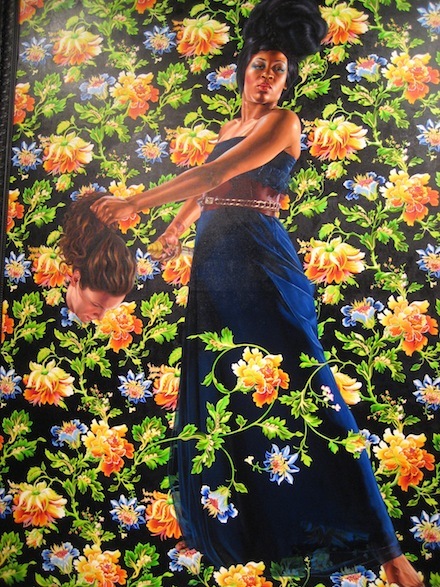 I love his work — show his show in DC. He was very friendly.